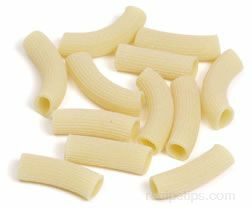 A large, slightly curved tube pasta that is approximately 1 ½ inches in length. It has a ridged outer surface and straight cut ends. They are used in dishes served as the main course. 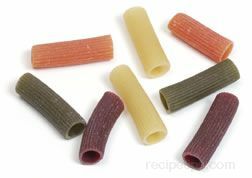 If not available substitute elicoidali, paccheri, penne, or macaroni.